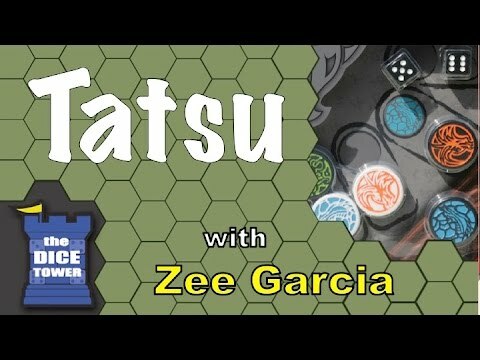 Japanese legend tells of a great battle between two mighty Dragon Lord armies, locked in combat on the peaks of Mount Hotaka, competing to win the hand of Princess Kushinada, the last and most beautiful of eight sisters. A battle so ferocious, that the villagers fearing for their lives acquire the help of powerful wizard, who cast a spell over the Dragon Lords to keep them imprisoned in circle of combat and to be freed only at the battles end. Their struggle continues to this very day, even though the Princess and their fateful story have long passed into legend. 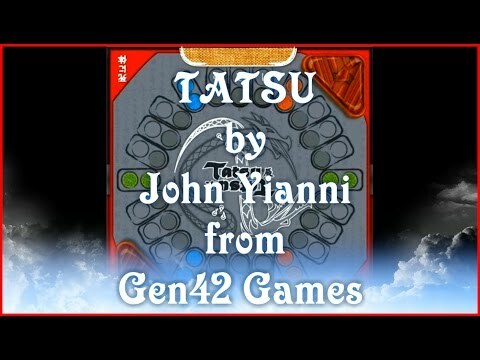 Tatsu is a tactical 2-player game in which each player trying to outsmart the opponent by cleverly moving his or her dragons on the circular board and trying to remove the opponent's dragons. Every type of dragon has a unique ability which helps to reach the goal. The game includes dice rolling, but luck is not playing a major role in achieving the success.